From Art, Texas, in the hill country area, this old church offers rest and hope for all visitors. Since taking this photograph, I've met and been contacted by folks who were married in this chapel, attended church here, or even funerals. 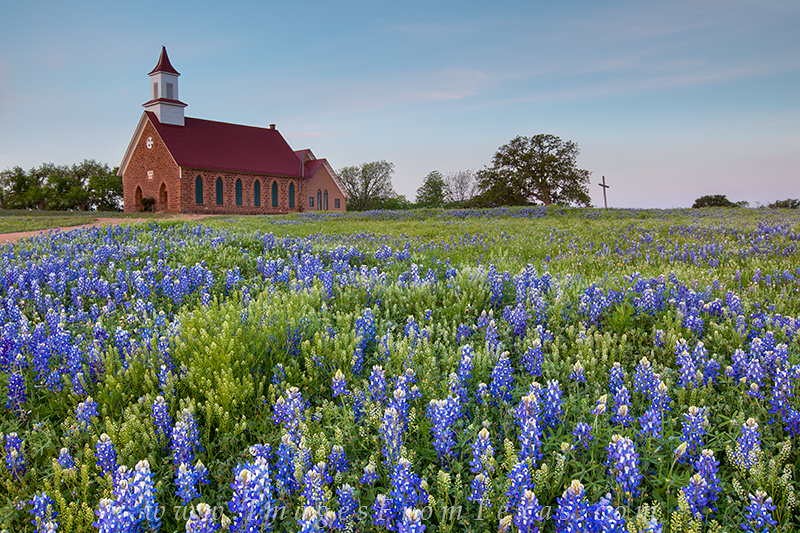 It is an icon of this pastoral landscape, and the bluebonnets only add to the scene. Photo © copyright by Rob Greebon.